Twitter employees heading to work in Berlin came across something bizarre recently. A series of racist, homophobic and anti-semitic graffiti was waiting for them outside the front door of their office. The graffiti, which appeared on Friday, was done by an Israeli-German artist, 29-years-old, Shahak Shapira. He said that he took the slurs from hundreds of actual posts he flagged to Twitter over six months, only to see a majority of them remain on the platform. Some were written in English while some in German. One read, “Retweet if you hate Muslims”, while the one written in German said that the country needs a final solution again for Islam and Let’s gas some Jews together again. 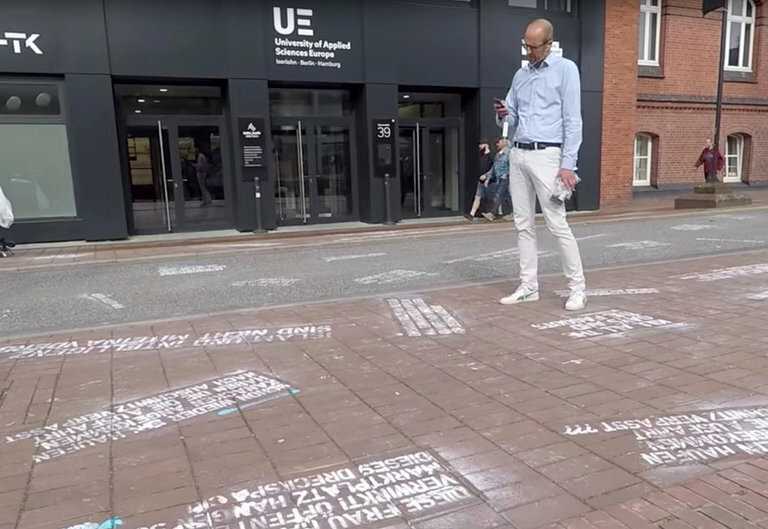 The protest by the artist came less than two months before the social media companies in Germany could face huge fines under a new law which said that the hate speech from their platforms must be removed in a timely fashion. Twitter said on Wednesday that it had nothing new to share about how it plans to police the network under the new German Law. In earlier statements, it said that they had taken actions against the abusive accounts. They had even sent warnings to some users while some of the accounts were shut. Twitter would not say how many accounts were addressed and declined to comment on Mr Shapira’s protest. The company said that they continue to review and iterate on their policies and their enforcement. Meanwhile, Mr Shapira’s actions and Germany’s new law have raised questions about the role of private companies and to what extent they alone should be responsible for policing hate speech. The artist said that he had also reported about 150 similar cases of hate on Facebook, out of which 80 percent were removed within three days.